A website is face of a company. It speaks volumes about what a person can expect from the company. 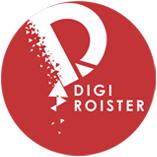 Digi Roister is a Pune based Digital Management or as it is said a Social Media Management and Promotion Firm. It was founded by two young media enthusiasts who are fond of working and experimenting on various social media platforms. With rise in use of social media, there is also the incoming of business world to enhance the profits via online medium. We provide major services on Facebook, Twitter, Instagram and YouTube. As per the client's requirement we even make use other prominent mediums such as LinkedIn, Google+ , Snapchat. We also create a specialized and value added blog posts to render the targeted audience when needed. Social media platform users are expanding in different sectors.